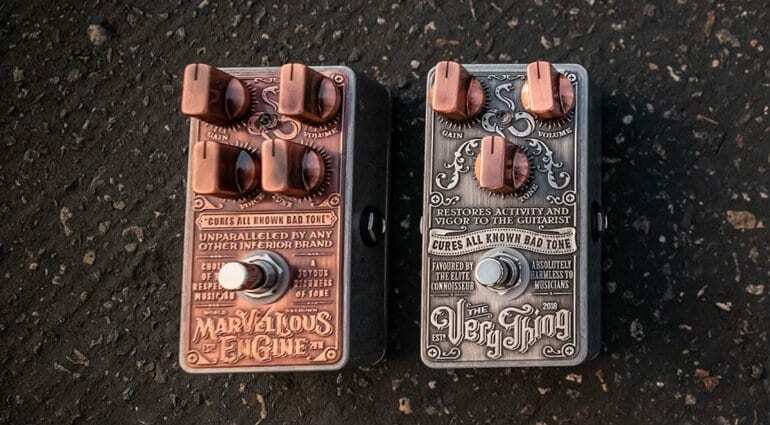 Rob Chapman’s new Snake Oil Fine Instruments launch with The Very Thing and Marvellous Engine pedals. New for 2019 and with some Victorian flair and plenty of vigour, will these new effects be a start of something big for Chappers? 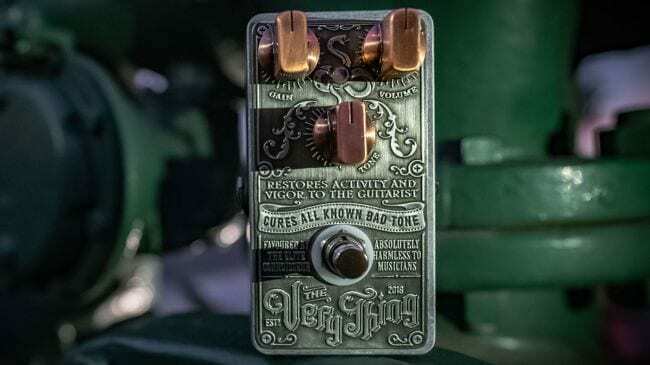 Rob Chapman’s latest venture is a new pedal brand, dubbed Snake Oil Fine Instruments. So what has Chappers been up to this time? Well, he appears to have gone for the ‘Victorian-era’ vibe marketing imagery, think dodgy bloke selling his wares from a cart in a market and you will get the idea. 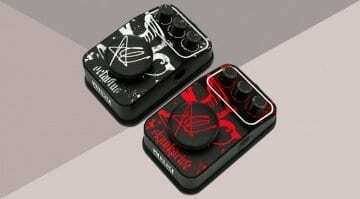 The pedals are made in the UK and each has high-quality components. The graphics are embossed decals, which also gives them a unique look. 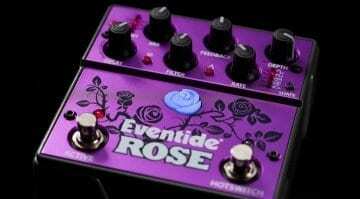 This one is an overdrive/boost with controls for Gain, Volume and Tone. 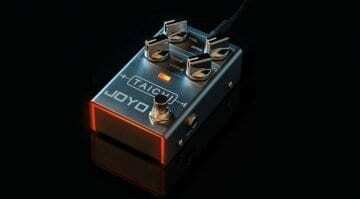 It uses a 4558 dual op-amp for symmetrical clipping. 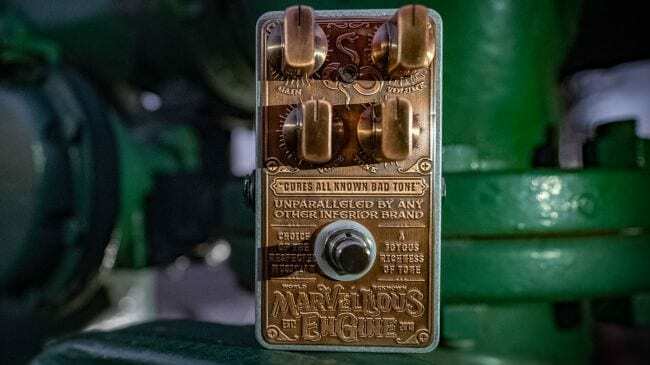 The Marvellous Engine is a distortion pedal and it has that classic high-gain Marshall-style tone. 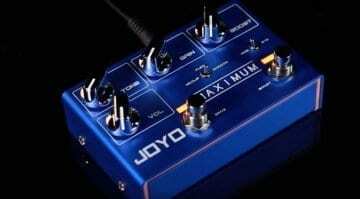 Controls consist of Gain, Distortion, Tone and Level controls. There is also a voice switch under the casing, which gives you an extra clipping stage.